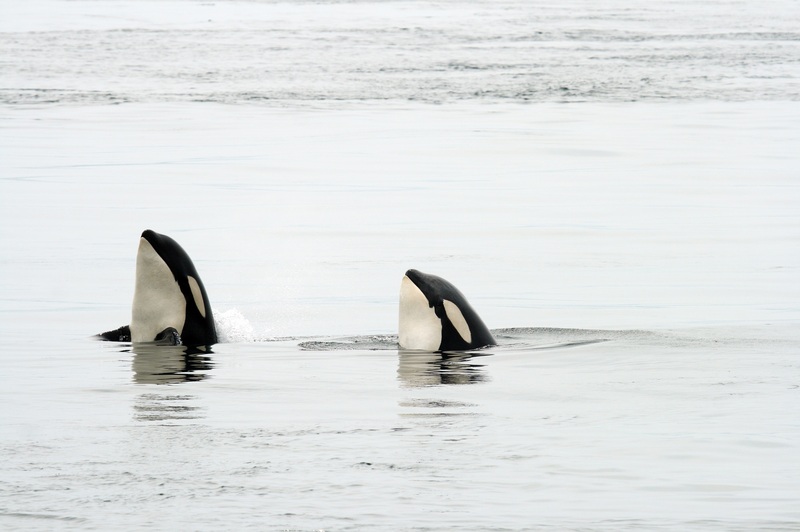 The orcas that are seen in our local waters are part of the southern resident community, composed of J, K and L pods. The most recent count finds fewer than 80 orcas in the southern resident community. The Center for Whale Research on San Juan Island conducts annual surveys of the orca population; visit their website at whaleresearch.com for the most up-to-date information. Southern resident orcas feed mainly on Chinook salmon and use sound to find fish, while transient killer whales have developed quiet hunting techniques to successfully catch their marine mammal prey. Conserve water. Turn off the water while you’re brushing your teeth, take shorter showers, skip watering your lawn. More water in our rivers means more water for salmon—and more food for orcas! 2. Conserve electricity. Use less electricity so the dams use less water. More water for salmon means more salmon for orcas. Put waste in its place. Properly dispose of litter, garbage and pet waste—and check your car engine to prevent oil leaks—so these materials don’t end up in Puget Sound. Choose non-toxic, environmentally friendly household and yard products. Even far from the water, nearly everything that goes down your drain or washes into storm drains and creeks, eventually ends up in the sea. Use less gas. Carpool, use mass transit, ride your bike or walk to help create a cleaner environment for our orcas. Reduce, reuse, recycle. Saving resources makes for a better environment for our orcas—and ourselves. Make informed decisions about the seafood you eat. Choose sustainably caught and harvested seafood. See our sustainable seafood page for guidance. Follow whale-watching guidelines. Be Whale Wise: if you’re going whale watching, do so from a safe distance; or even better, from the shore. Share what you know with family and friends!Together, we can all make a difference for the orcas. Increase your knowledge and support the many groups that are working to save the orcas – and salmon too. Local chapter of the oldest whale conservation organization, featuring a monthly speaker series in Seattle. Learn how to watch whales safely and responsibly. 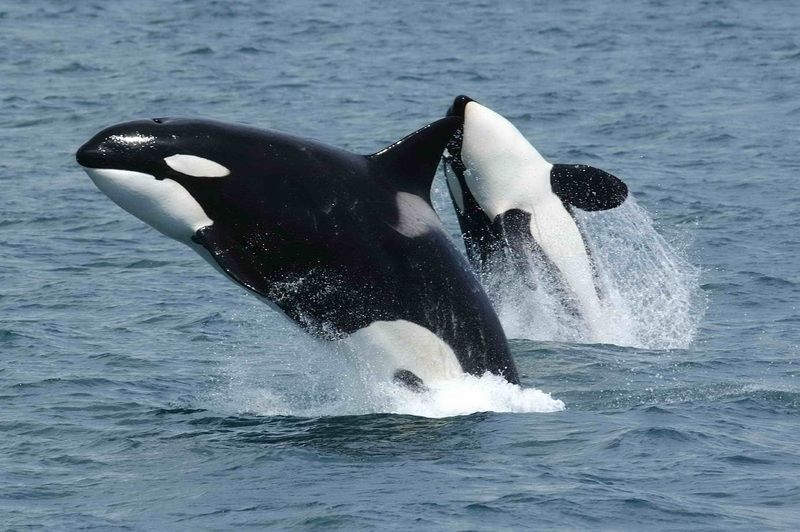 Study killer whales in the Pacific Northwest. Work alongside expert mentors while living sustainably on a sailboat. 35 years of killer whale population research and great orca photos. Environmental science through storytelling; inspiring kids to make a difference for orcas. Read the southern resident killer whale and salmon recovery plans. Report harassment or sightings of injured/stranded marine mammals by calling the NOAA Fisheries hotline at (800) 853-1964. Find out where the whales are, all the latest news about orcas and their habitat, ways to get involved, and more. Working for a clean and healthy Puget Sound, teeming with fish and wildlife. Listen in to a network of hydrophones stationed throughout the Salish Sea, habitat of the Southern Resident orca pods. A coalition working to recover abundant, sustainable runs of wild salmon to the Northwest’s Columbia and Snake Rivers, once the largest salmon-producing river system on earth. Protecting public health and the environment by eliminating toxic pollution. Visit the museum in Friday Harbor on San Juan Island, or on the web, and adopt a Southern Resident orca! Volunteer on a habitat restoration project to protect Pacific Northwest whales through land-based conservation experiences. Find out where you can view whales from shore. The Seattle Aquarium is one of the first sites along The Whale Trail, established to inspire appreciation and stewardship of whales.